Known for its chilled-out party vibe and charming beaches, Goa is a popular spot for holidaying. With long stretches of shore, there are many resorts available to pick from, but not many knows such natural calmness as Palolem Beach in Goa. 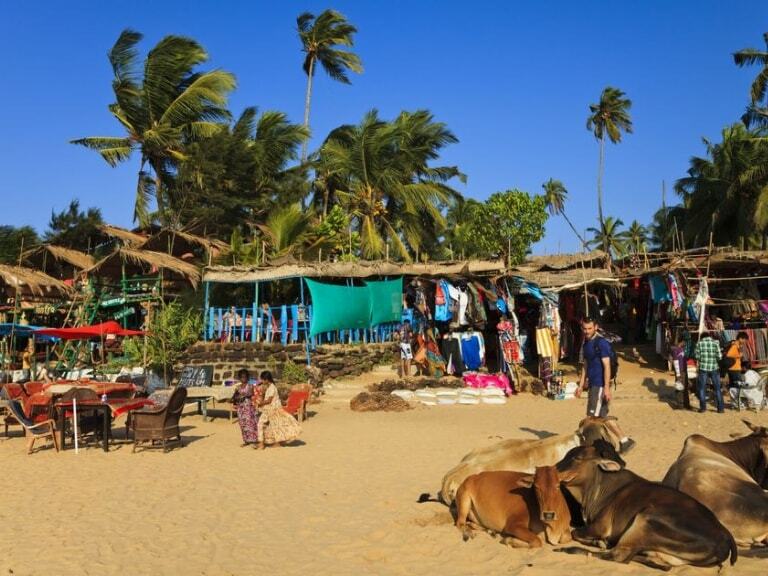 Visit Palolem beach for traditional culture, activities and relaxation. Dazzling and delightful Palolem Beach in Goa, drapped by a thick forest of coconut palms towards the South Goa, is perhaps one of the most charming Beaches of Goa. It is a long, and shady beach that becomes lively with the varied crowd of visitors. This results in a calm and peace sea with a gently slanted seabed that allows you to walk up to 100 metre out from the beach. 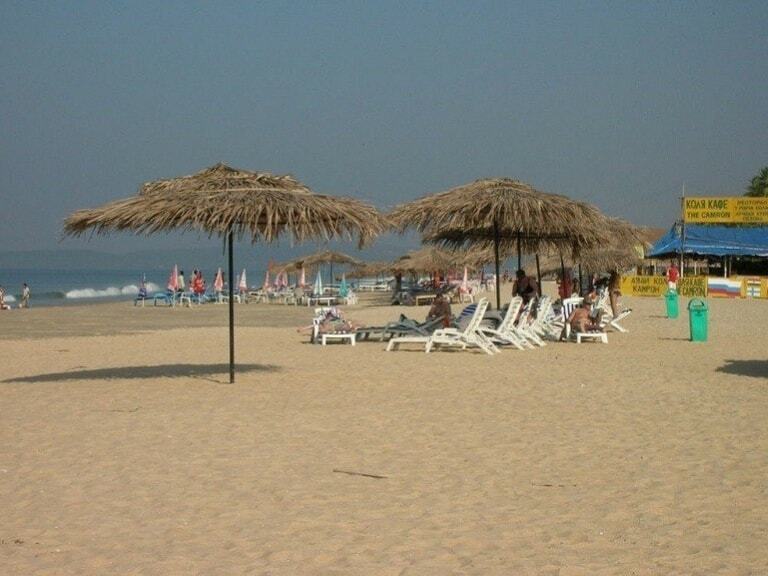 It is semi circle shaped beach and also one of the most popular beaches in Goa that has serene and calm experience. The seashore extends clean waters and shimmering sandy beaches with endless beauty. Palolem Beach is long beach filled with restaurants, sometimes with live music and dance. It is one of the finest spot to take a short break from your hectic schedule and enjoy with your family and friends. The humidity is moderate and the waters are not so harsh, making it perfect for walking in the sand or for taking a dive in the waters of the sea. 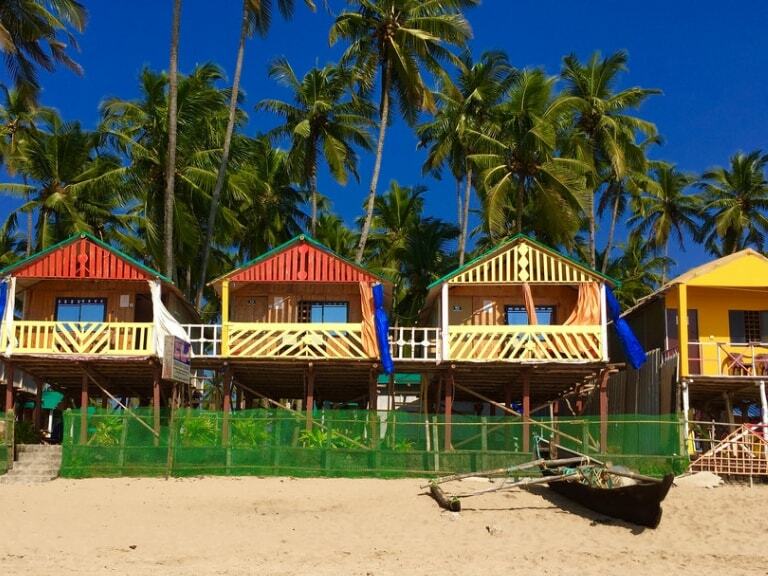 Palolem beach cottages have classic cultures that are owned by foreigners and Indian visitors. So, if you want to explore in the sun in the shimmering sandy beach and lovely coconut trees, while breeze blowing, spending vacation in Palolem Beach is an outstanding option. Also there are market for visitors. Walking in the beach at night with a flashlight and you will be shocked by crabs running away from you. Palolem beach with low-priced dining options and bright nightlife. The clubs at Palolem beach has silent party trends, where tourists dance on the beat of music which is connected to DJ. Live music, dance music, and rocking pump full night through speakers or headphones at Silent Noise Parties. After sunset, Palolem Beach changes in a real sight of lights and colors. All kinds of night activities are held on the beach in which Palolem beach is most popular for its silent discos, which are organized in the bars of the beach. The famous and favorite spot that is admired by every tourist is ‘Silent Noise Party’ that provides the outstanding experience of dancing to music. On the way to Palolem beach, one can explore Cabo De Rama Fort, the famous tourist attraction near Palolem beach. It is one of the oldest forts, made during the era of Lord Rama of Ramayana. Many tourists come with their loved ones, to unfold the Ramayana history of this fort. You can take a walk to Monkey Island. You will get this island to the right side. Then to the right of the beach is Butterfly Beach. You will need a boat to visit. It is worth a trip for a change of scenery. It has a very steep beach, so deep that you can dive in, from the water’s edge. Honeymoon Beach, a small strip of beach near Palolem beach. 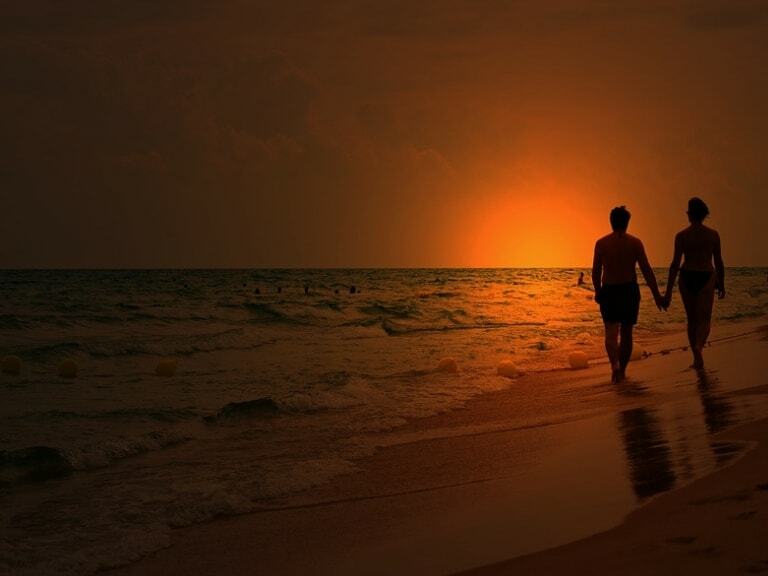 This beach is usually visited by couples who want to stay away from the crowd. Turtle beach is another main tourist attraction near Palolem Beach where the famous Olive Ridley turtles lay their eggs. Tourists visit here as there are lots of chances for bird watching. Further, walking on the Agonda Beach during sunset gives a picturesque view from a distance. It gives high relief and relaxation while sitting there and watching the sunset of the beach. Monkey Island is one of the main tourist’s attractions near Palolem Beach. It is a beautiful spot that draws a large number of visitors from all across the world. One can walk through the shallow water in low tide. One should experience boat in high tide. Palolem beach offers you multiple adventure water activities like Snorkeling, parasailing, jet ski, bumper ride and many more. If you are an adventure freak with a special fond towards water activities, there can surely be no better beach for you than Palolem Beach. The different variety of water activities offered here is mind blowing with much choices. Starting from the essential ones, you can make your way up to more claiming water sports activities as well in Palolem Beach. 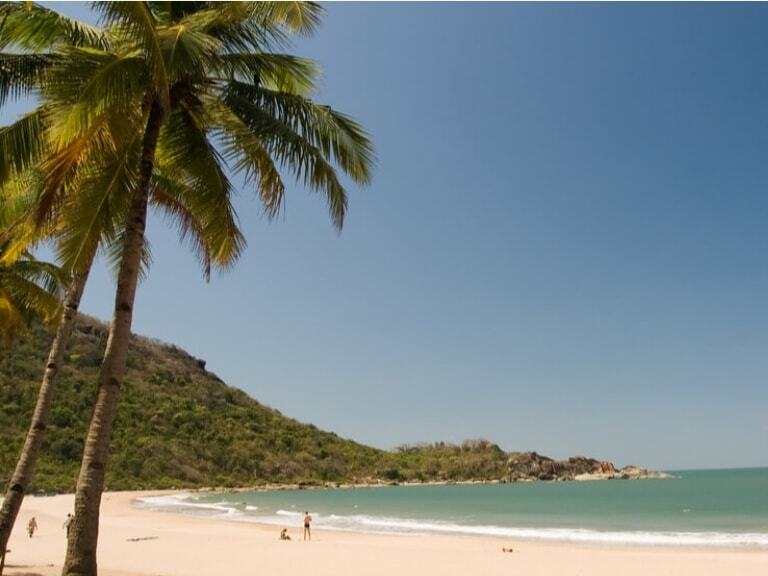 Pick your favourite if you wish to explore the scenic scenery of Palolem Beach. An enjoyable boat trip out to sea, spotting the cute dolphins is totally satisfying. Although they are confused creatures at heart, they always impress with their lively characters. 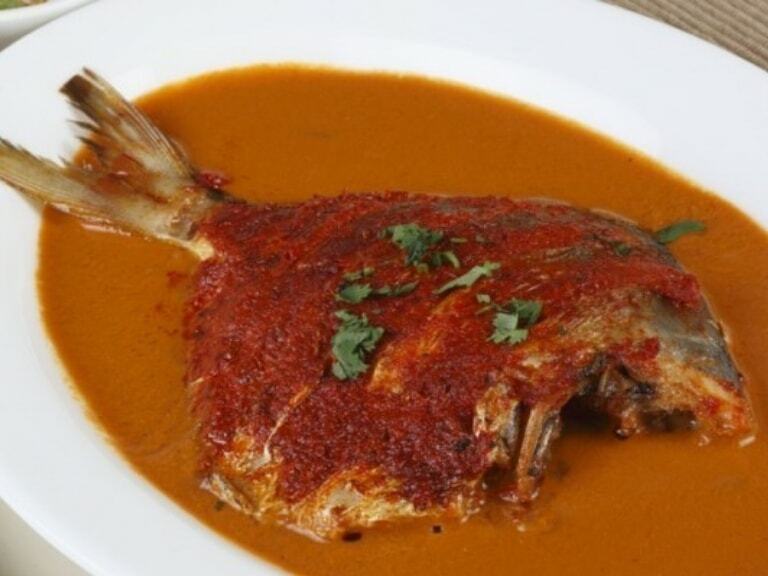 When it comes to delicious cuisines, the active fishing culture of Goa makes for some delicious seafood. Try some freshly caught fish brought in by the boatmen or taste the exceptional South Indian cuisine in Palolem beach. Go for a Goa Thali for number of curries with complementing flavours and a sustaining fill of rice and chapati. If beach does not set your heart racing then don’t worry, there are number of activities for the brave adventure freak here. A short trip is unforgettable day trip to make while staying in Palolem Beach. Silent Noise manages to sidestep; providing headphones so that visitors are appropriately equipped to soundlessly disco at night away under twinkling stars. Palolem beach is the very popular beach of south Goa. It is said that Palolem beach is of the least dirty of Goa. We can spot dolphins here. Colva beach is said to be the most crowded beach in Goa. It is the most beautiful beach in Goa. 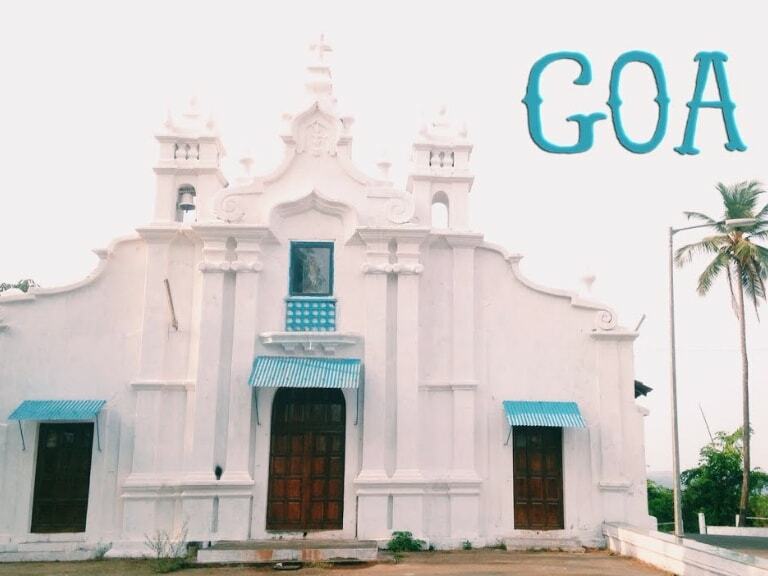 Vasco Da Gama is a must visit place in south Goa. This place also includes a museum called Naval Aviation. Agonda is said to one of the best places for silent lovers. We can get here to see soft tidal waves. Gatsby’s pub is located near Colva beach. This club includes delicious food with beer. This club also includes a coffee shop. It is said to be one of the best places for nature lovers. This waterfall resembles the milk fall, this is the only reason where the waterfall got its name DudhSagar. 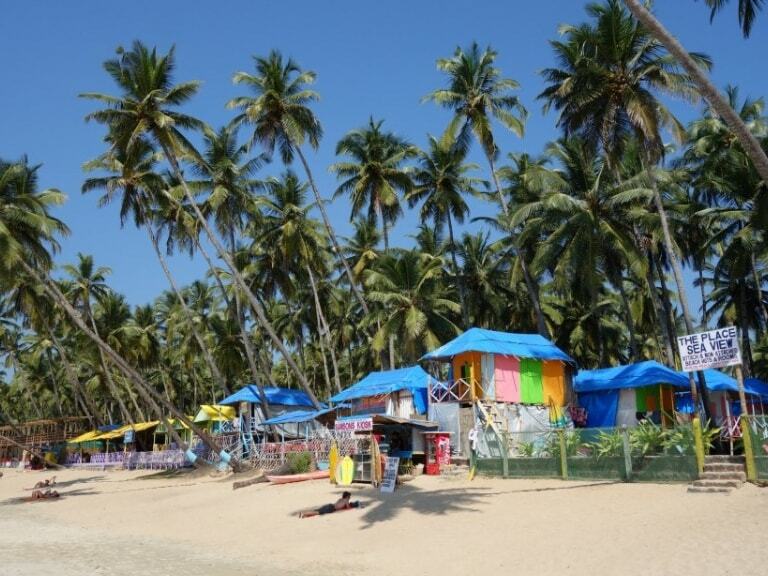 Majorda is also one of the beaches in south Goa. 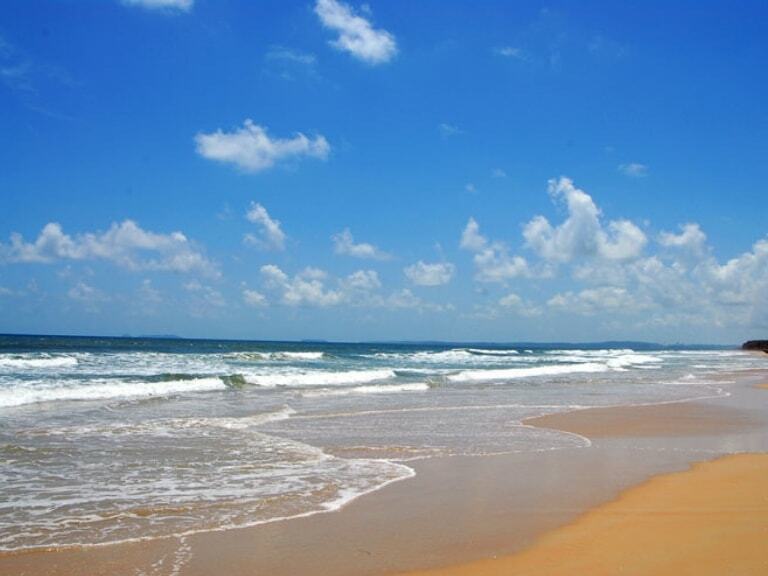 This beach has its own different quality from other beaches in south Goa. This beach is said to be one of the best places for bakery lovers, as it indulges bakery houses. 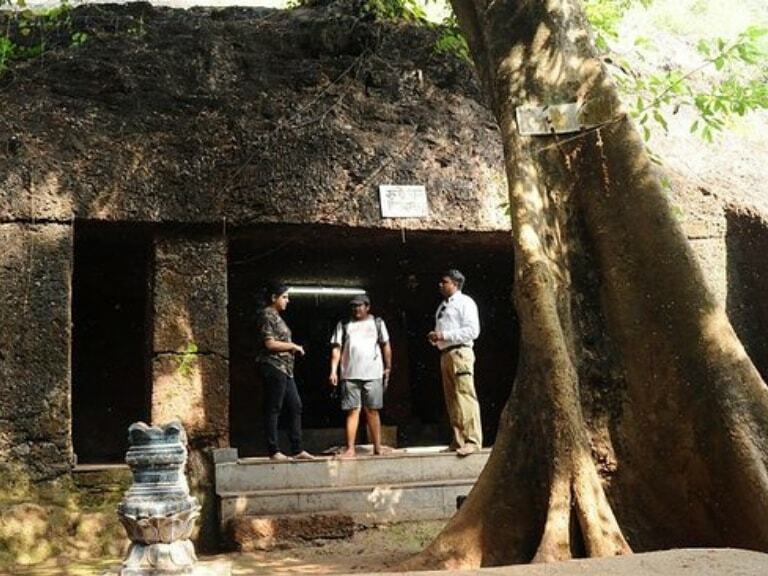 Loutolim is one of the best historic sites in south Goa. This place is filled with the remains of the Portuguese era. Patnem is one of the tiny beaches in south Goa. There are different stalls here for shopping, spa. Goa tourism is known to be the backbone of it. This means Goa totally depends on its tourism. Therefore, here there are many resorts, lodges, hotels. In Delhi to Goa package, the accommodation is Baywatch resort. It is situated in Colva. This hotel includes many luxury facilities such as free wifi, minifridges, coffee and tea making, etc. Baywatch resort is also serving bar, weekend live music, spa, etc. So if you are looking for such a great experience, go head for this Delhi TO Goa package and we’ll make your this trip memorable !!! BOOK NOW!!! Palolem Beach is best for water sports activity, a beach is very clean and water quality is also clean. Palolem Beach is a long beach filled with restaurants, sometimes with live music and dance. Confirm your Water Sports package with us at a cheapest rate.